While newsletters are a popular method for engaging with both current and prospective customers, you may feel overwhelmed by the technical and creative resources necessary to efficiently, effectively and consistently keep your target audience up to date on your brand and its offerings. 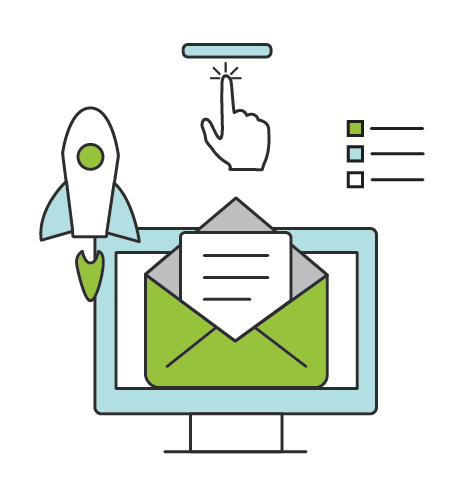 Your Brafton team, comprised of a content marketing strategist, project manager and content writer, will work together to manage every aspect of your email newsletter campaigns. Through Brafton’s expertise in full-service email marketing, including campaign management and newsletter writing services, you can rest assured your email newsletters are tailored to reach targeted recipients and drive return on investment. From content creation and inclusion of custom imagery and videos to email marketing automation and performance measurement, Brafton’s content marketing experts will organize, oversee and execute on your strategy. Compiling a list of targeted email recipients is the first course of action. Through the implementation of customized website pop-ups, eye-catching calls to action and newsletter subscription form fills strategically placed throughout your site, you can quickly develop a registry of interested, qualified leads who wish to learn more about your products and services. By providing website visitors with valuable, relevant content – such as an eBook or white paper – in return for their subscription, you can encourage higher numbers of newsletter sign-ups. Once you have a list of recipients, it’s essential to segment it to ensure your content is crafted to maximize desired outcomes. Your Brafton newsletter management team can help you parse through subscribers based on numerous criteria, including age, gender, job title and more. Newsletters can then be tailored to each specific segment, ensuring your content marketing is pertinent and useful for recipients, supporting continued interest and trust in your brand. Email marketing continues to deliver significant ROI, allowing you to reach huge numbers of people quickly and easily. Newsletters are an ideal way to nurture leads and guide them down the sales funnel in a strategic manner. Whereas most email recipients are leery of overtly promotional and unrequested content, newsletter subscribers will welcome high-quality content that both interests and benefits them, be it news-based stories on industry trends, evergreen educational articles or thought leadership pieces highlighting your brand’s innovative approach to common client pain points. Brafton’s industry-focused writers will incorporate email content marketing best practices into the creation of original newsletters geared toward your target audience. Content is based on specific subscriber personas to leverage the benefits of personalization and encourage higher open and click-through rates. Everything from tone and style to structure can be tailored based on your unique requirements. Starting with subject lines that utilize language proven to inspire interest and urgency among recipients, along with personalized details, such as names and job titles, your content writer will ensure your email newsletters are laser-focused on cultivating interest and engagement. The bulk of newsletter content can be created from scratch or curated based on your existing blog posts and other assets. Your content marketing strategist and project manager can measure the performance of existing collateral to determine which pieces of content resonate most with your target audience based on website traffic, time on site, bounce rates and other metrics. Using this information, email newsletters can be created using repurposed content, both expanding the value of your current assets and spreading awareness to new audiences. Your content writer will craft headlines and short blurbs to provide email recipients with tantalizing snapshots of the content to be found on your site, driving further traffic back to your website. The text itself will be arranged to maximize readability through the use of subheads, bullet points, imagery and videos where appropriate. Finally, custom-designed, clickable CTAs will be implemented to guide recipients to desired next steps. Brafton content marketing strategists are well-versed in the breadth of email service providers and are comfortable supporting at any capacity required. 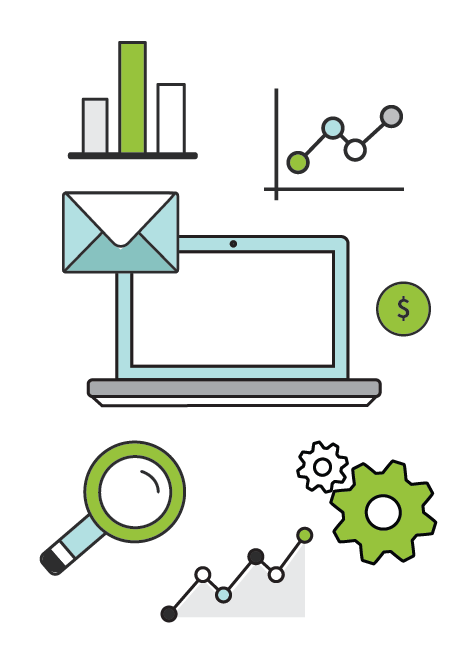 Using a marketing automation program to segment recipient lists, create drip campaigns and schedule email send dates, your team will provide guidance regarding best practices to maximize results. Based on hard data, we will provide tips on the best day of the week and time of day to send your newsletter. Permission-based marketing ensures your newsletters are received by the people who have voluntarily opted to engage with your brand. This will help optimize your open and click-through rates, as will your team’s focus on website personas and historical performance. Newsletters will keep you top-of-mind with your prospects so that when they are ready to become clients, they think of you first. 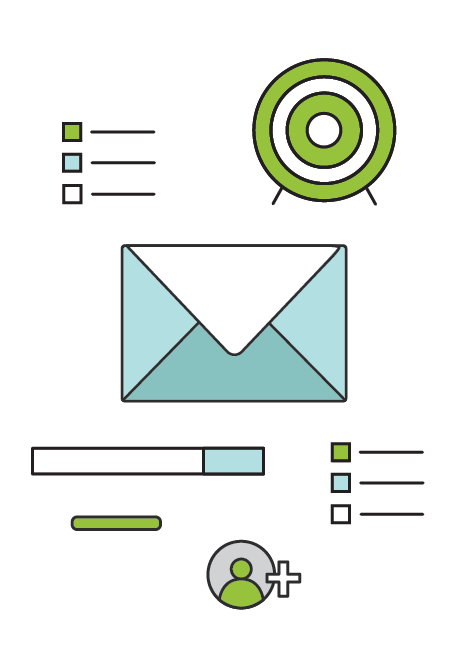 Your Brafton content marketing strategist will walk you through the results of your newsletter management strategy, including everything from open rates, click-through rates and conversions, as well as how email engagement is translating to revenue growth. High-quality subject lines are your foot in the door. Nothing within the body of your email matters unless someone is enticed enough to actually open the email. Unique HTML open-rates are absolutely critical in evaluating the quality of your subject lines. Unique click-through rates will determine how well your message was received once a person opened your email. If the subject line is getting the first foot in the door, an email link click is the next step. We evaluate the quality of email content by the rate at which we entice visitors to click on your calls to action. Based on the results of your email newsletter campaign, your team will adjust your strategy as necessary to improve ROI and ensure newsletters are serving specific commercial objectives.